SBES LifeSaver is a fast, accurate way of summoning help to the location of a man down incident. 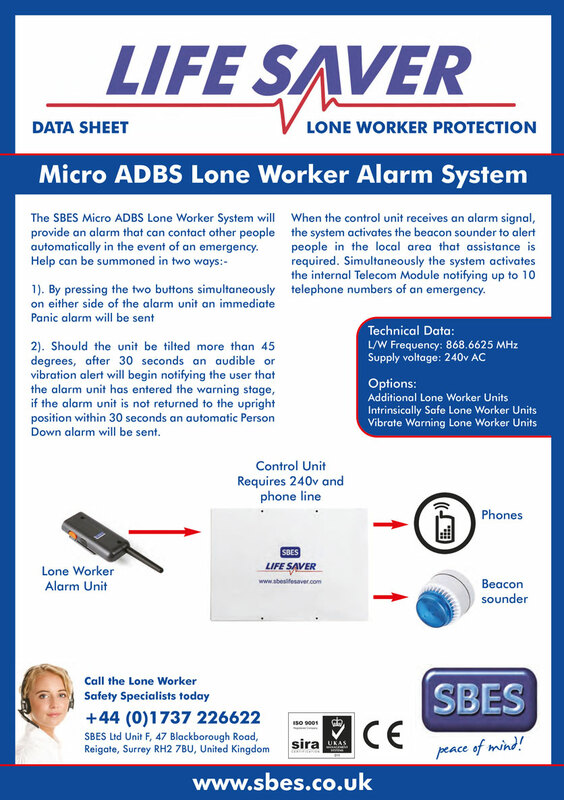 The lone worker protection system is completely scalable, from a single user to over 1000 users and is suitable for both partial or whole site coverage. The SBES lifesaver system can be provided as an ATEX/Ex Certifed system if required. SBES Control Panel – Clearly displays the alarm alert message upon a large LCD display, the SBES Control panel comes complete with visual indication, internal siren with mute facility and full system reset. SBES Radio Pagers – Clearly displays the alarm alert on alpha numeric radio pagers. 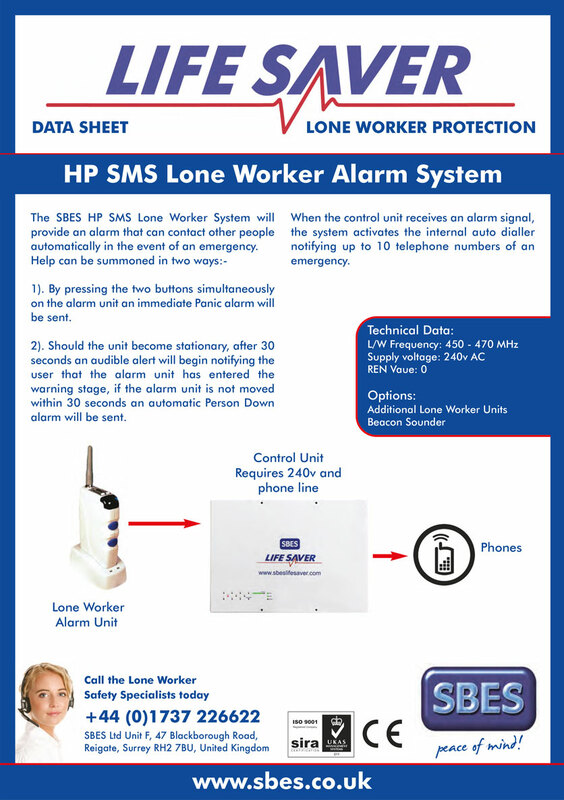 SMS Text Messages – Alarm alerts can be sent direct to your mobile telephones. Speech Messages – Our telecom modules can be programmed with up to 10 telephone numbers of your choice, upon alarm activation the system will automatically dial the programmed numbers and relay the alarm message to your recipients – please note that the alarm recipients have to acknowledge the alarm alert from their telephone handsets. Beacon Sounders – We supply many types of beacon sounders with our systems which will activate as soon as the alarm alert is raised. 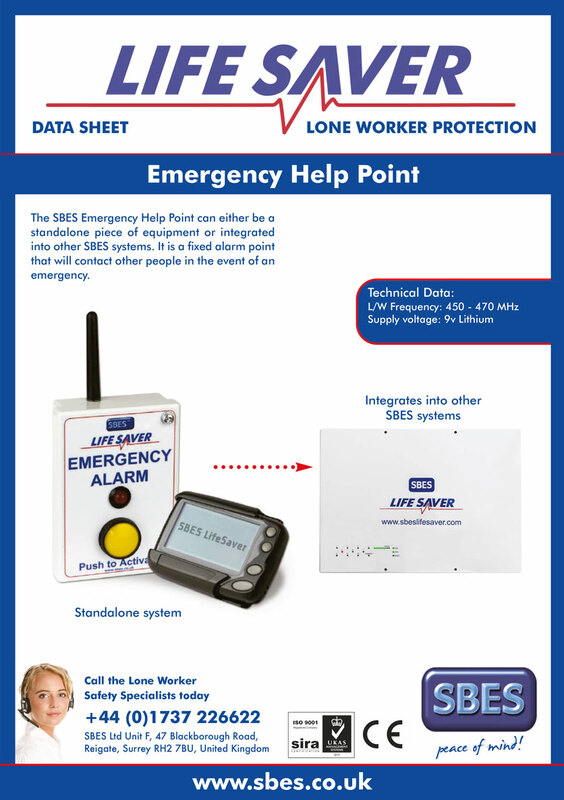 Emergency Help points and Disabled Toilet Alarms can be incorporated into the SBES LifeSaver system. No ongoing fees or subscritions required for day-to-day operation.